Danai Gurira is already a star on AMC’s The Walking Dead and a part of the Marvel Cinematic Universe thanks to her role as Okoye in Black Panther. Now she may be adding another major franchise to her resume with a role in the next Star Trek movie. According to Deadline, Gurira is being looked at for a role in the upcoming fourth film in the rebooted Star Trek franchise. The film is set to be directed by SJ Clarkson, who will be the first woman to direct a Star Trek movie. Additionally, Gurira is said to be in negotiations for a starring role in the upcoming Godzilla vs. Kong crossover monster movie. If Gurira does join Star Trek 4, she will be joining a cast that includes Chris Pine, Zachary Quinto, Zoe Saldana, Karl Urban, John Cho, and Simon Pegg. She will likely also be reteaming with her Avengers: Infinity War co-star Chris Hemsworth, who will reprise his role as George Kirk, Captain James Kirk’s father, who died in the opening scene of 2009’s Star Trek when he rammed the USS Kelvin into the time-displaced Romulan vessel the Narada. The Clarkson-directed feature will be the fourth film in what has come to be known as Star Trek's "Kelvin timeline," the alternate timeline caused by the Narada's trip backward in time as seen in 2009's Star Trek. That film was followed by Star Trek Into Darkness in 2013 and then Star Trek Beyond in 2016. The fourth Star Trek film was announced shortly before Star Trek Beyond opened in theaters. However, Paramount went silent on the film for over a year after Star Trek Beyond underperformed at the box office. Paramount saw some leadership changes at the executive level and reconsidered its box office strategy and now Star Trek 4 is back on track. Another Star Trek film is also in development, this one based on a pitch made by iconic cult film director Quentin Tarantino, who is hoping to direct the movie himself. While no details about the film have been revealed as of yet, it is expected to follow Star Trek 4 and to feature the same Kelvin timeline cast. 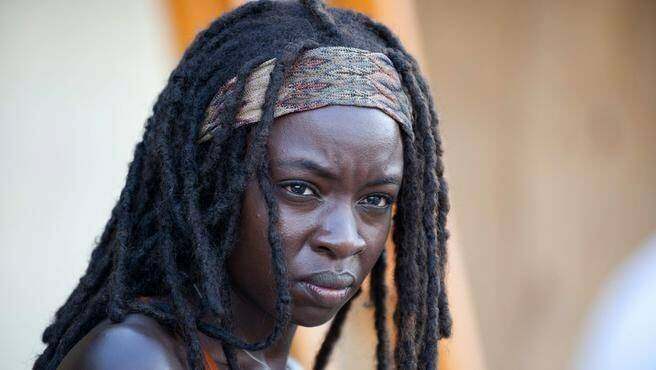 What do you think of the idea of Danai Gurira joining Star Trek 4? Let us know what you think in the comments! The first three Kelvin timeline Star Trek movies - Star Trek, Star Trek Into Darkness, and Star Trek Beyond - are all available now on home media. Star Trek 4 still does not have a production start or release date.